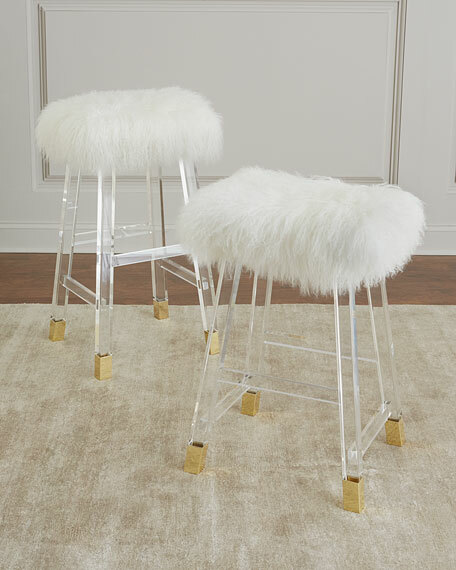 A cream long, curly sheepskin seat adds unbeatable pizzazz to the glamorous this stool. 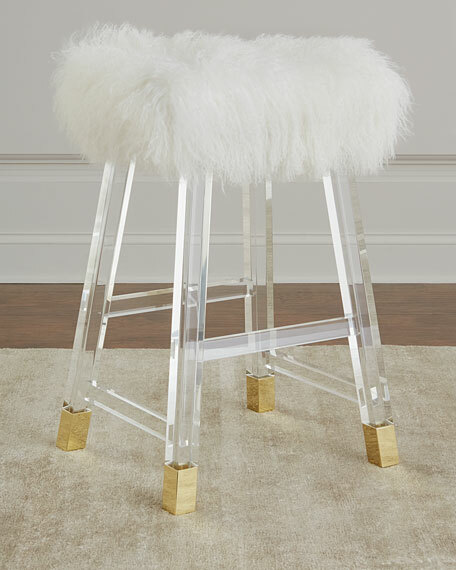 Handcrafted bar stool with acrylic frame. 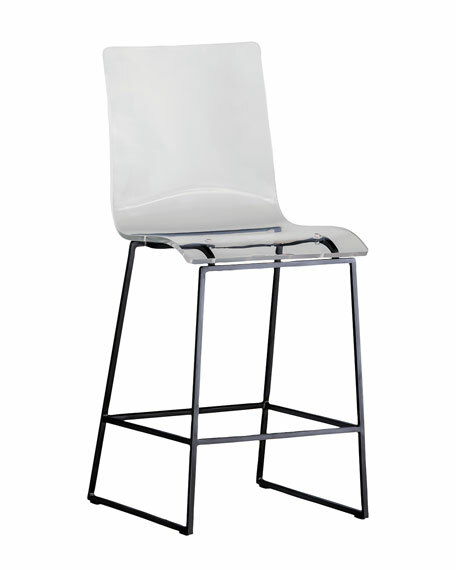 16"W x 12"D x 30"T.
Handcrafted barstool.Acrylic.21"W x 19"D x 41"T; seat, 30"T.Imported.Boxed weight, approximately 83 lbs. 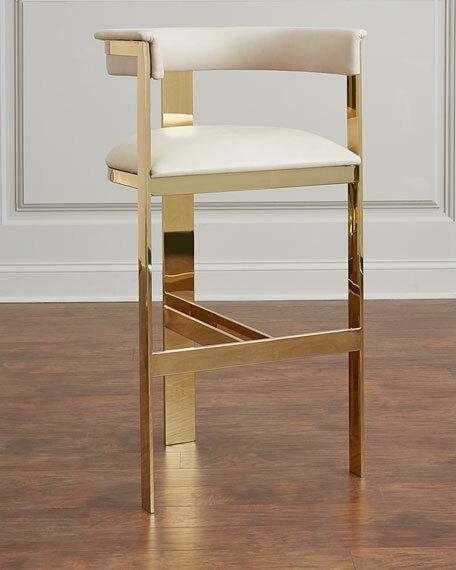 Boasting an art modern influence, this counter stool features a cream leather seat and a streamlined stainless steel frame in a shiny brass finish. 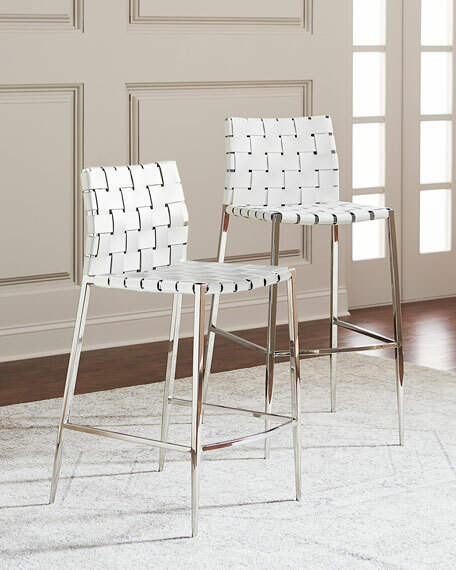 A classic woven bar stool gets a chic update when it features winter white bonded leather and stainless steel with a polished nickel finish. 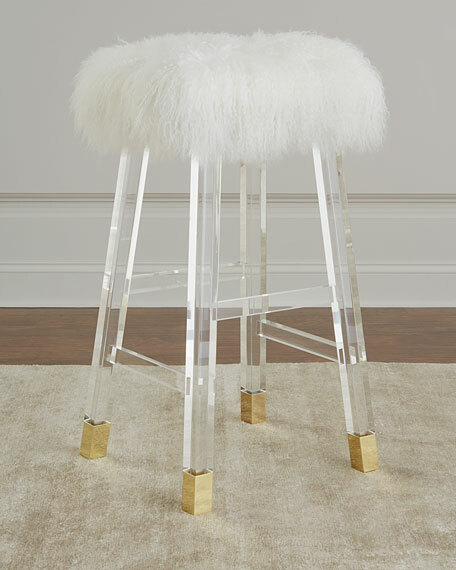 Bar stool with clear, outdoor acrylic seat. Finished stainless steel frame. 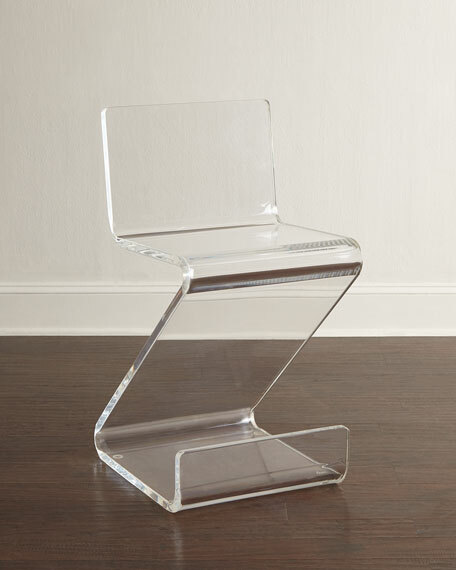 17"W x 20"D x 40"T.Seat height, 23.5".Seat depth, 14.5".Imported.Boxed weight, approximately 39.4 lbs.